Perhaps not quite what you’d expect. 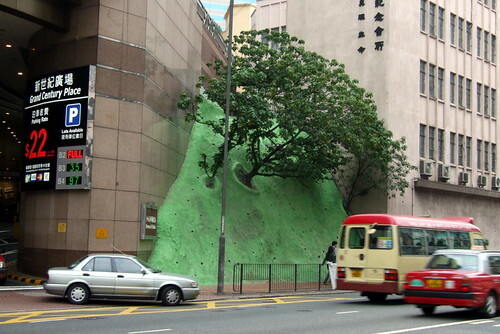 This entry was written by Christopher DeWolf , posted on Wednesday June 15 2011at 10:06 am , filed under Asia Pacific and tagged Green Roofs, Hong Kong, Kowloon, Rooftops, Vertical Greening, Views from Above . Bookmark the permalink . Post a comment below or leave a trackback: Trackback URL. 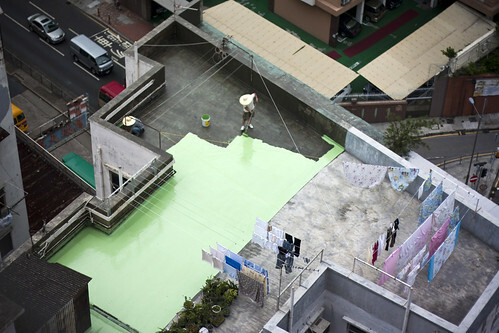 because the picture shows that it’s exactly the same shade of green!